On his 75th anniversary, Captain America is about to face a challenge unlike any other. Prepare for an assault on - Pleasant Hill! 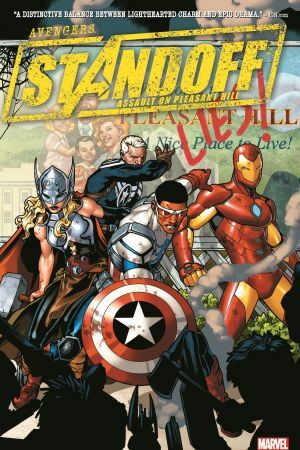 Three shield-wielders past and present - Steve Rogers, Bucky Barnes and Sam Wilson - find themselves in a standoff, with high and very personal stakes. And as this tense conflict quickly escalates out of control, it draws in three teams of Avengers, the agents of S.H.I.E.L.D. and more! But it all begins in an idyllic community with friendly neighbors - and a terrible, dark secret. What is going on behind Pleasant Hill's closed doors? 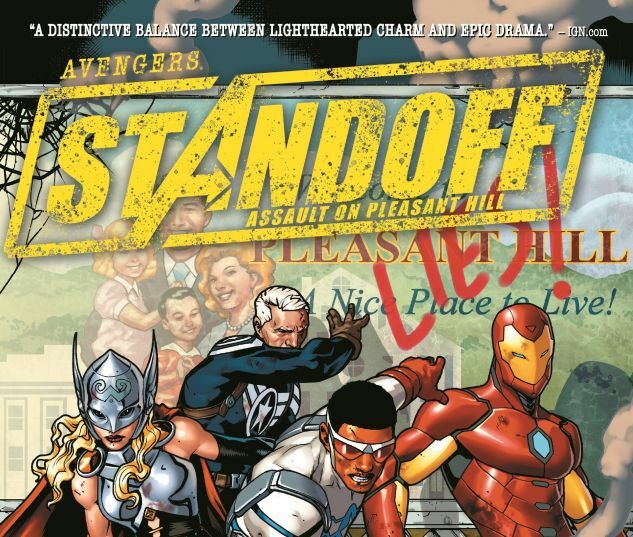 Collecting AVENGERS STANDOFF: WELCOME TO PLEASANT HILL; AVENGERS STANDOFF: ASSAULT ON PLEASANT HILL ALPHA and OMEGA; AGENTS OF S.H.I.E.L.D. 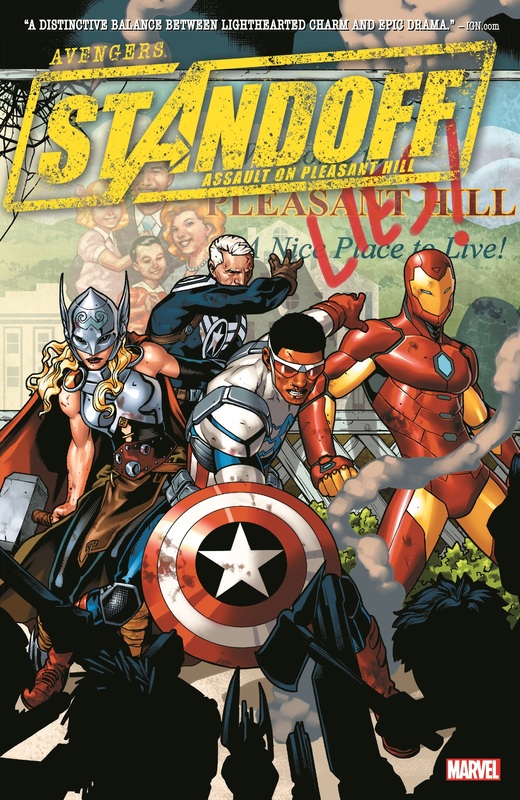 #3-4; UNCANNY AVENGERS (2015B) #7-8; ALL-NEW, ALL-DIFFERENT AVENGERS #7-8; NEW AVENGERS (2015) #8-10; CAPTAIN AMERICA: SAM WILSON #7-8; ILLUMINATI #6; and HOWLING COMMANDOS OF S.H.I.E.L.D. #6.